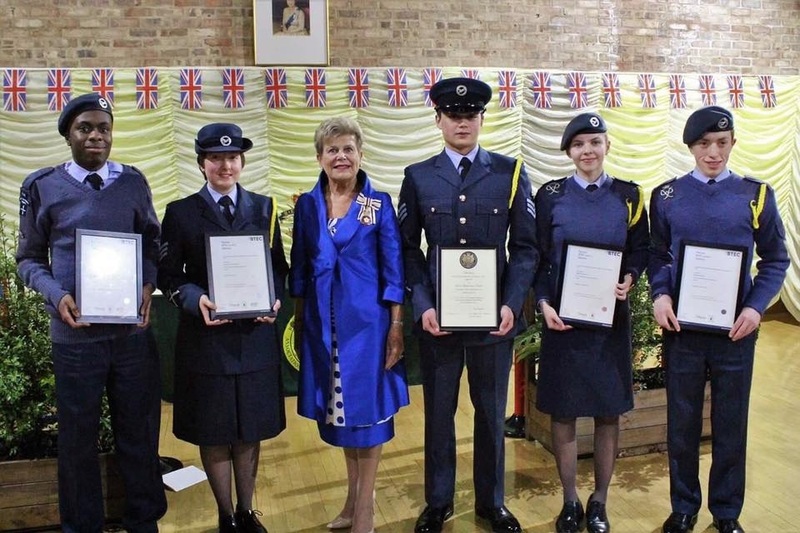 On Tuesday 28th February we witnessed 5 of our cadets being presented with awards from the Lord Lieutenant Mrs Snowdon, at Newton Aycliffe TA Centre. Sgt Royal, Sgt Mole, Cpl Millard and Cdt Omole, after completing all of their exams, were awarded their BTEC in Aviation Studies. A fantastic qualification, all should be proud of this achievement. We also witnessed FS Burgess and Sgt Mole taking over as Lord Lieutenant cadets for 2017. To achieve this appointment both cadets not only had to beat competition from around Durham/Northumberland Wing, but also impress the Wing Commander and Lord Lieutenant representatives at two separate interviews. This appointment is given to cadets who embrace the spirt of the ATC, who’s motto is ‘Venture, Adventure’. During their one year appointment they will accompany Mrs Snowdon on several of her official duties. This will be a fantastic opportunity for all involved. Congratulations to all of the cadets who were presented with awards. You’re all fantastic role models for younger cadets.